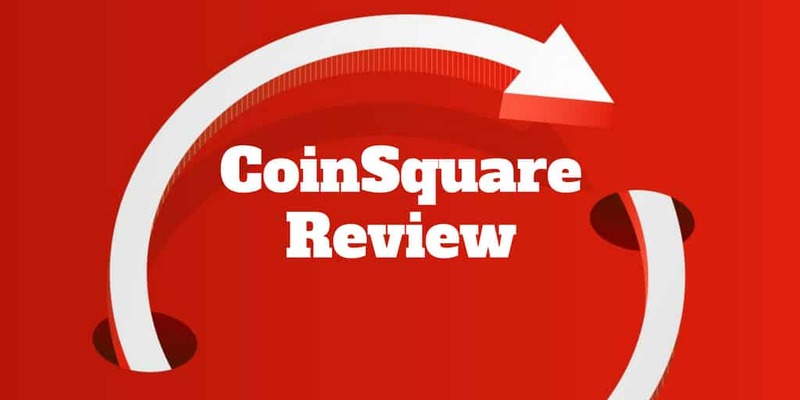 If you live in Canada and want to trade cryptocurrencies, this CoinSquare review will give you the pros and cons before risking a penny. CoinSquare is a digital currency exchange purpose-built for Canadians, both English and French speakers. It supports trading in Bitcoin, Bitcoin Cash, Ethereum, Litecoin, Dogecoin, and Dash from desktop PCs or MACs as well as mobile devices. And for security-conscious crypto traders, CoinSquare emphasizes that it has a 95% cold storage policy, meaning if the exchange were ever hacked, most of the assets would be out of reach of online hackers. With that said, CoinSquare claims to never have lost a coin and its platform is built on the same technology relied upon by the New York Stock Exchange. The bottom line is if you live in Canada and want to invest in cryptocurrencies using a platform renowned for its security, CoinSquare should be on your shortlist. CoinSquare provides two methods to buy and sell cryptocurrencies, Quick Trade and Advanced Trade. Once you sign up to CoinSquare and your account is verified, the fastest way to buy and sell cryptocurrencies is via Quick Trade. Using Quick Trade, you can exchange Canadian dollars for Bitcoin, Ethereum, Bitcoin Cash, Litecoin, Dash, or Dogecoin. For newbies buying for the first time, the lingo may seem a bit confusing but here’s how it works in a nutshell. When you buy cryptocurrencies, you simultaneously sell Canadian dollars. This is similar to a currency transaction where you buy say U.S. dollars and, at the same time, sell Canadian dollars. The first step at CoinSquare involves selecting the currency you wish to sell, which would be Canadian dollars for most first-time users. The next step is to pick the digital currency you wish to buy, say Ethereum, Bitcoin, or Litecoin. You will be provided a quote which informs you of the amount of cryptocurrency you will receive for your Canadian dollars, and if you’re happy to move forward, you can simply confirm the order via a Make This Trade button. The same step-by-step process applies whether buying cryptocurrencies using the web-based interface or via mobile app. Quick Trade purchases are usually instantaneous but if large orders are processed or the bid-ask spread is wide, you may experience delays entering or exiting positions. Advanced Trade is designed for experienced traders who want more control over order placements, including specifying limit prices and visibility into real-time order books. It is only available when buying and selling Bitcoin. If you wanted to buy Litecoin using Advanced Trade, you would first need to exchange Canadian dollars for Bitcoin, and then exchange Bitcoin for Litecoin. By using Advanced Trade, you can place limit orders like “Buy Bitcoin Only When The Price Falls Below $X”. Bank drafts, money orders, wire transfers, and even credit cards can be used to fund your CoinSquare account. To withdraw funds from CoinSquare, you can use any of the following methods. CoinSquare takes security very seriously. Its proprietary system, which is built using the same technology as the New York Stock Exchange, is tested with Distributed Denial of Service (DDoS) attacks similar to the approach a sophisticated hacker might use. For added security, CoinSquare supports two-factor authentication (2FA). The way it works is a security code that changes every 30 seconds is needed in addition to your username and password when logging in. So, unless a thief has access to your phone as well as your login credentials, it will be nearly impossible for them to hack into your account. And even if your account or CoinSquare itself was compromised, a 95% cold storage policy is employed so that most of your digital assets are stored offline. ✅ Easy To Invest: CoinSquare provides 7 methods of payment to fund accounts, including credit cards (most expensive), wire transfers, money orders, and bank drafts. ❌ Canadian Residents Only: CoinSquare caters to Canadian citizens only. ✅ Security: Two-factor authentication is used for an added layer of protection and a 95% cold storage policy is employed to limit risk if the system were compromised. ❌ Fees: Trading fees are not cheap but depositing funds is especially costly via credit card so consider alternative funding methods. ✅ Trusted Exchange: No coins have been lost since inception. ✅ Cryptocurrency Wallet: CoinSquare not only acts as an exchange platform but also stores your coins in cryptocurrency wallets to save you the hassle of setting up a wallet elsewhere. ✅ Major Cryptocurrencies Supported: Bitcoin, Bitcoin Cash, Ethereum, Litecoin, Dash, and Dogecoin are all supported. ✅ Intuitive Platform: The user experience is top notch and intuitive. It’s easy to navigate around the platform and place trades. ✅ Mobile Compatible: Web-based and mobile access is featured. ✅ Advanced Trading: Experienced traders have access to real-time order books. Since inception, CoinSquare claims to have never lost a coin and it’s no surprise given its high emphasis on security, a key consideration for any customer. Not only is two-factor authentication employed, but the system is stress-tested and built on technology used by the New York Stock Exchange. Fees are reasonable though funding your account via credit card is very costly and probably best left as a last resort. Six other funding methods are provided along with a wide variety of withdrawal methods, so you are spoilt for choice. Where CoinSquare shines is not just via its intuitive interface for newbies but its extensive functionality for experienced cryptocurrency traders too. You can view real-time order books and set limit prices for maximum control over trade entry and exit. All in all, CoinSquare earns high marks for building an intuitive and trusted platform. Regardless of whether you are buying your first Bitcoin or you have been around the cryptocurrency block trading for years, CoinSquare has much to offer.